USGS, Arkansas - FTS Inc. Established in 1879, the U.S. Geological Survey (USGS) is an organization that monitors and analyzes the health of the environment of the United States. The USGS team provides their online users with access to real-time data about the streamflow statistics and basin characteristics throughout the waterways of Arkansas. 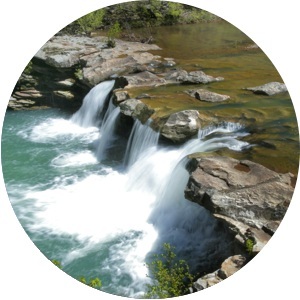 Anglers, boaters, water-resource managers, and anyone requiring current data about the water flowing through the streams of Arkansas, turn to the web to obtain useful information including stage, streamflow, turbidity, temperature, and pH. Some of the streams, especially those within the Ozark Forest on the Missouri border, are extremely remote and require a three hour drive to get to the site. Once at the site, the team needs to collect the samples taken by the ISCO autosampler, restock as needed, and ensure the equipment is operating correctly. Since the autosampler has a finite number of containers, the team needs to ensure the unit is stocked regularly, but need to minimize unnecessary site visits. Also, since the ISCO sampler does not natively support being controlled as an SDI-12 device, the team was unable to transmit the container status via GOES. This resulted in unnecessary site visits with containers still available in the sampler, or missed samples when no empty containers were present. The USGS team contacted FTS to find a system that would work well for their situation. The FTS team suggested that an Axiom H2 Datalogger (DCP) could be connected directly to the ISCO sampler utilizing an Autosampler Interface Controller, allowing communication via SDI-12. The bottle status would then be able to be transmitted via GOES, updating the team hourly as to how many empty containers are available to collect samples. The installation revealed no surprises, and the equipment continues to work exactly the way the team needs for their six locations. They’re now confident in their ability to collect water quality information to establish baseline data for the creeks and streams they’re responsible for.